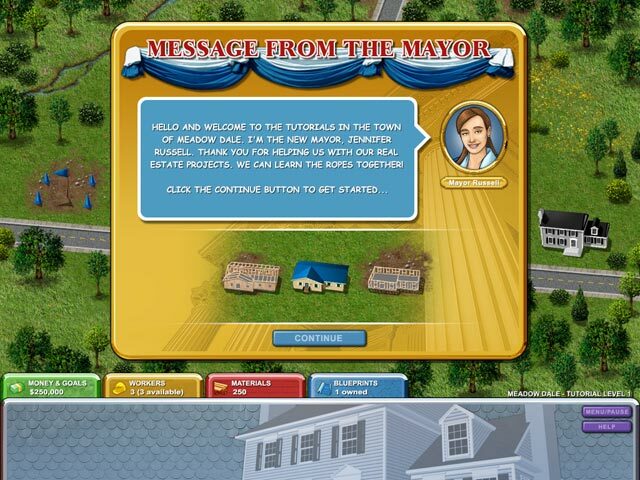 Rated 5 out of 5 by sylviaLampley from My second best game series to Chocolatier This series is my 2nd top choice of games if you love building from ground up with beautiful places to visit and a great storyline, and progressive up-grades. Rated 5 out of 5 by kgirl2012 from Build- a- lot original I loved it. Best game yet! :) I love the chaalenge and the trill. Only thing I didn't like was not buying it. Rated 4 out of 5 by catbag8717 from Back to Basics! This was just an all round good game, if I could, I'd give it 4.5, but I'll have to settle for a 4. Here are my thoughts: Good Parts: Made you feel like a real builder. The game in general was really fun Goals- some were incredibly challenging and some were easy. Letters. Most of them gave you cash bonuses which really helped me in the levels I needed a cash goal. OK Parts: As with all these games, the graphics weren't great. It kind of felt like I was playing a game from 2001. 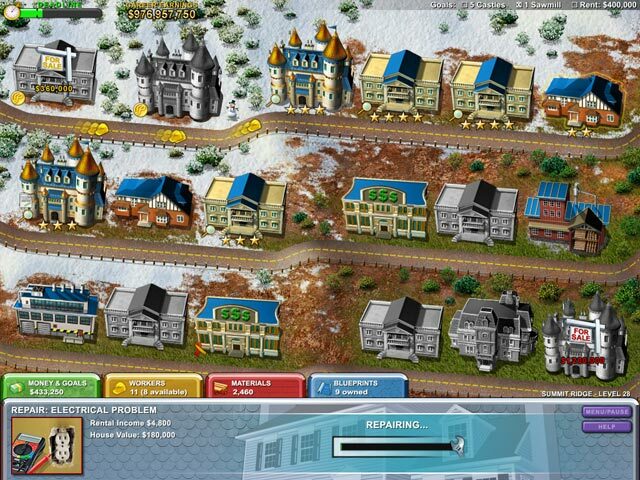 Bad Parts: Some of the goals required you to buy more lots/houses. This really dragged on the game as this took a certain amount of time. Material usage. The amount of materials it cost to build some homes was ridiculous. I found myself constantly having to buy more. Lack and cost of workers. Up untill Level 6 or 7, untill you build a workshop, training another worker cost $50,000. This really annoyed me as most of the time, the buildings needed 2 or 3 workers, and then the goal needed me to upgrade, so I would have a lack of workers, which really lost time, and on occasions, levels. 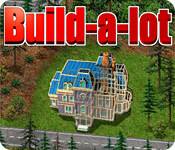 If you love the Build-a-lot series, you can't look past this. With so many features you'll find only in this game, it's a must have. Rated 4 out of 5 by SimbaKomba from A Surprise! I like builders, but always shied away from this series for some reason... I've now tried it and I'm pleasantly surprised! It's a pure builder's game: get money & supplies & build to meet goals. The first dozen levels are fairly easy, but boy it gets tough! I'm currently on level 30 and I've had to restart it twice. It certainly makes you think - it's a true strategy game! I'm certainly a fan! Rated 4 out of 5 by SxyTiger73 from 4 0f 5 stars not to bad. Pretty fun. Would play again. Rated 3 out of 5 by MildChild from Okay Building Game OK, if you like this sort of thing. Not particularly challenging, at least not in the free time I had. While I enjoyed it well enough, I didn't care for it enough to spend money on it. For the most part, it seemed kind of pointless to me (although it may have been better deeper into the game...). Rated 1 out of 5 by 67act from A problem with the game I've tried to download it several times on different devices ( all mac) and it flashes and crashes each time. I had success on a PC some time ago, loved the game, but it will not play on my iMac or macbook.